Algarve villa Rentals. Amarantevillas is specialized in renting villas in the Algarve. All our villas in the Algarve have a private swimming pool. We rent the best properties in the Algarve. You can book your rental villa online on our website or you can make an online reservation. 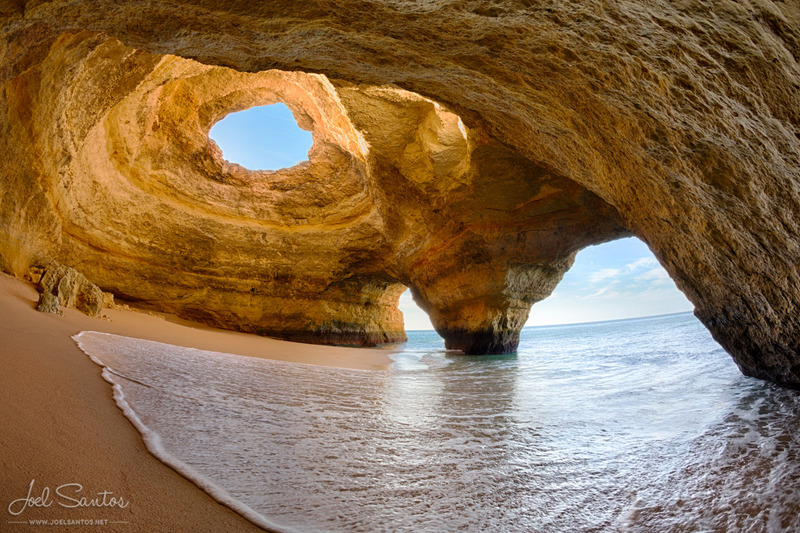 You will find everything you need for a perfect holiday in the Portuguese Algarve! This sunny destination has it all, beautiful beaches, surrounded by imposing rock formations, azure colored sea and many possibilities to have fun. The locals are friendly and hospitable, the food is fresh and the villages are lovely. For the young holiday makers is Albufeira a familiar place, with lots of bars, restaurants and nightlife in the new part of town. The old town still has a lot of character, with narrow streets full of shops and restaurants. The square in the middle of the town, has been modernised and during summer evenings there is life entertainment. From the center, you can easily walk to the city beach, where escalators can bring you back on the rocks in a minute. From above you have a beautiful view over the sea and the town of Albufeira. In the area of Albufeira there are many beautiful beaches, west of Albufeira you will find the beautiful Praia de Sao Rafael, sheltered by red cliffs, Praia da Gale and Praia da Gale Leste are long, golden sand beaches with access to water sports, sunbeds and a large car park. If you don’t mind a short walk from the car park to the beach, Praia da Coelha is beautiful as well. The car park is around 400 meters from the beach, a rough path leads to the beach, tucked away in a cove with lovely views over the sea and rocks. Just east of Albufeira is Praia da Oura, down a steep hill at the end of ‘The Strip’. This is a pretty, sheltered and sandy bay, with a promenade offering a selection of restaurants. Praia de Santa Eulalia is just next to Praia da Oura and has a large car park right behind the beach. Carvoeiro is a family seaside resort, traditionally a fishing village with a sheltered beach and lots of choices of beaches in the area. Although there are several resorts around, the village kept her charme with the small center, the beach, shops and restaurants, all in a circel of 400 meters. Along the main road to Carvoeiro is a big supermarket, in Carvoeiro is a smaller supermarket. At Benagil beach you will see the fishing boats, nets and baskes as you head down to the sand, several restaurants line up the road to the beach, offering a lovely lunch or quick snack during the day. 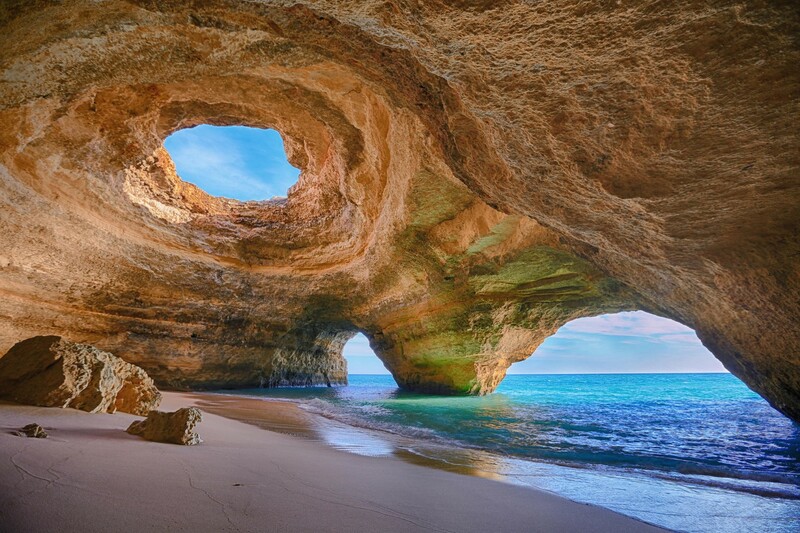 Marinha Beach is one of the most beautiful beaches of the world. When you arrive you will see why. If you follow the pathway down to the beach, you will have amazing views of the stacks out to the sea. For the beach is a large car park, a restaurant is on the beach, open during the high season. Another great beach is Albandeira Beach, good place to spend the day running between the sandy beaches or looking in the rock pools. 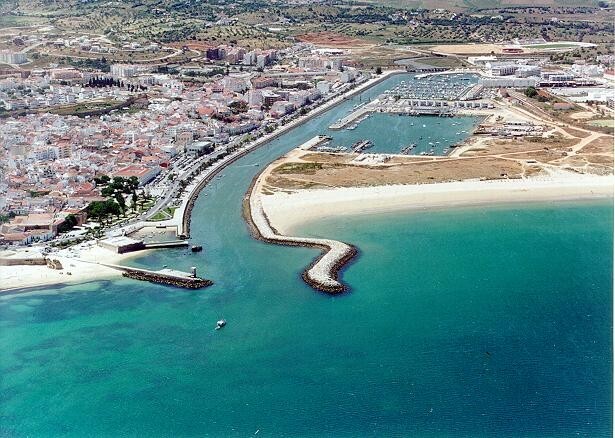 About 100 kms from the airport in Faro, you will find the historical town Lagos, once the capital of the western Algarve. Enjoy the long boulevard along the marina and the restaurants. From the marina you can go on a dolphin watching trip, or have a private yacht charter for the day, have a nice barbeque on one of the deserted beaches and enjoy the sunset in the evening. The golden sandy beach of Meia Praia stretches for 4 kms around the bay of Lagos. To the west are many small, sandy coves providing secluded and sheltered sunbathing. Lots of water sport facilities like scuba diving, windsurfing and golfsurfing, or maybe you would like to play golf on one of the beautiful golf courses in the area.